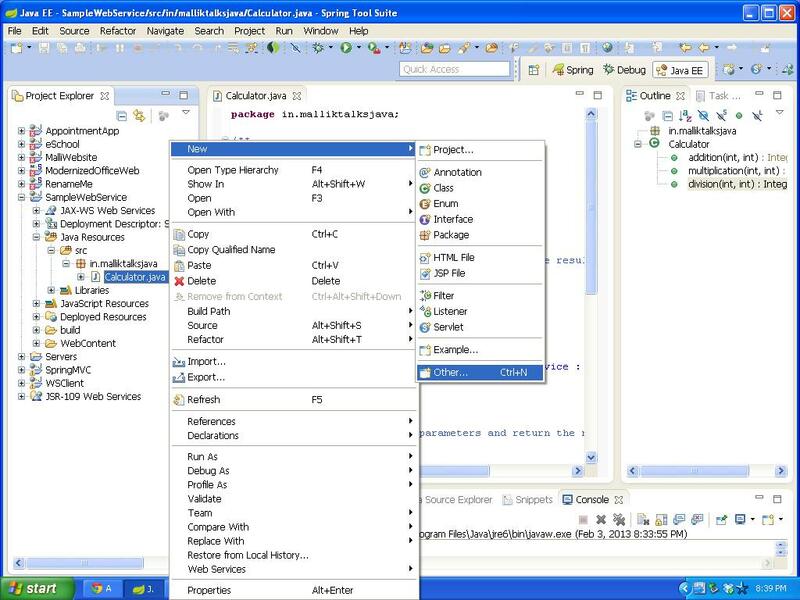 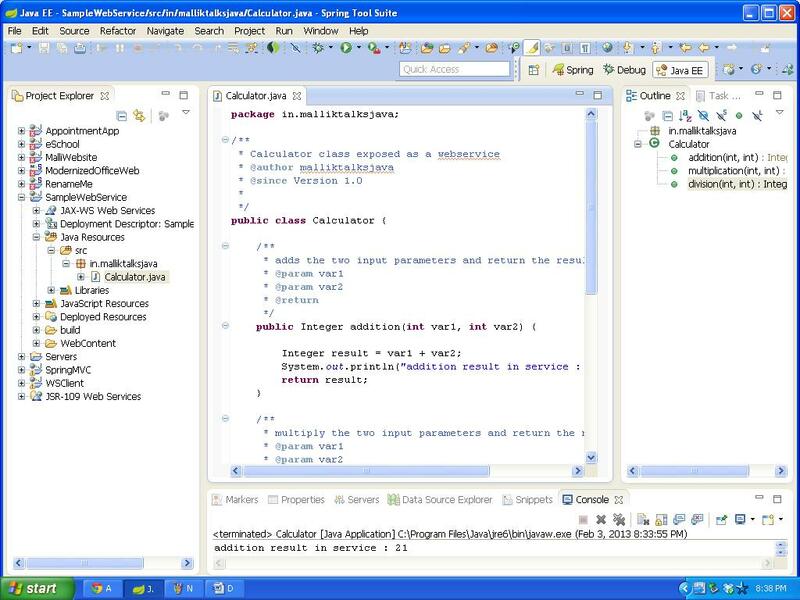 Below steps explains the how to create a web-service in java in bottom-up approach using the STS(Spring tool suite) IDE. 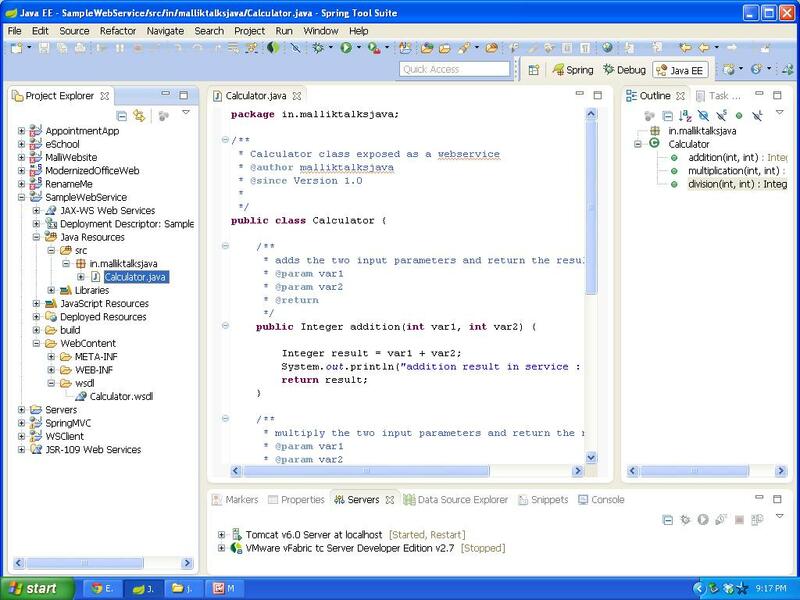 In the bottom-up approach, first we will create a template class, using the template class we will generate the WSDL and deploy the service in servers. 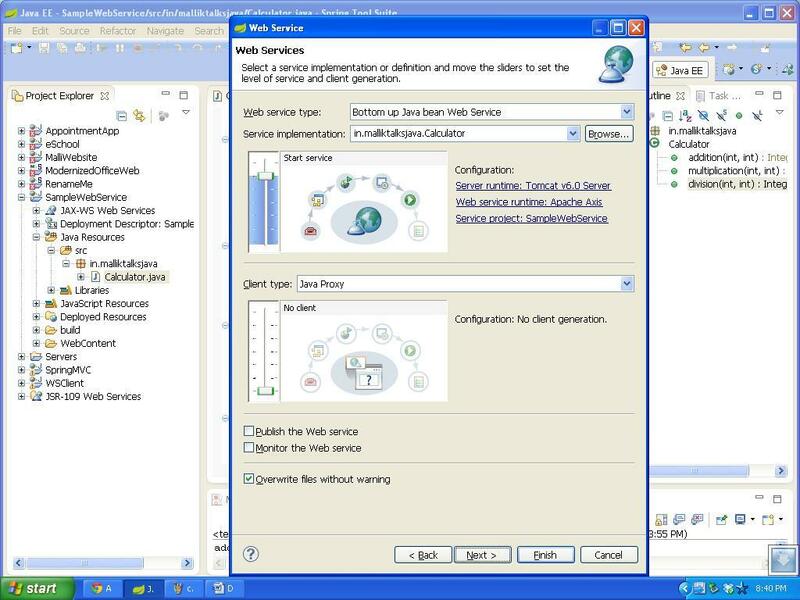 Follow the below steps to create a webservice. 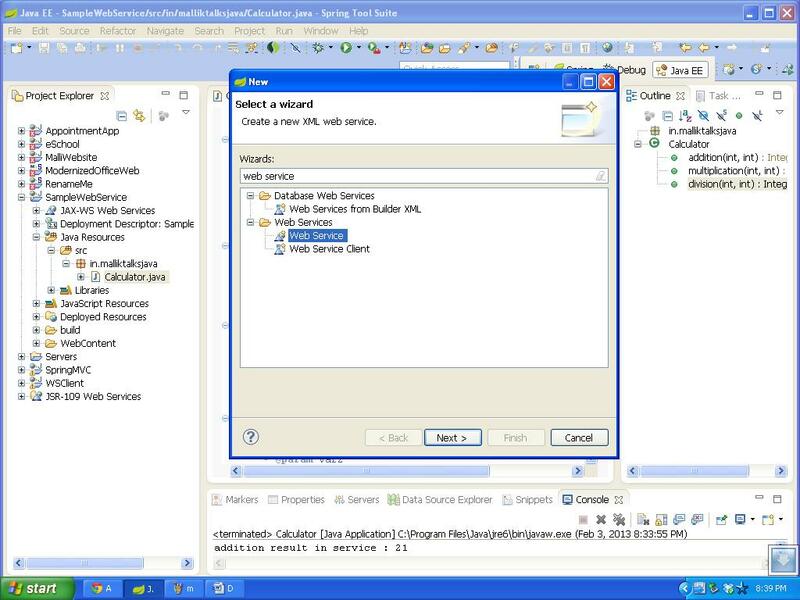 Provide the package name and class name into respective fields and click on finish button. 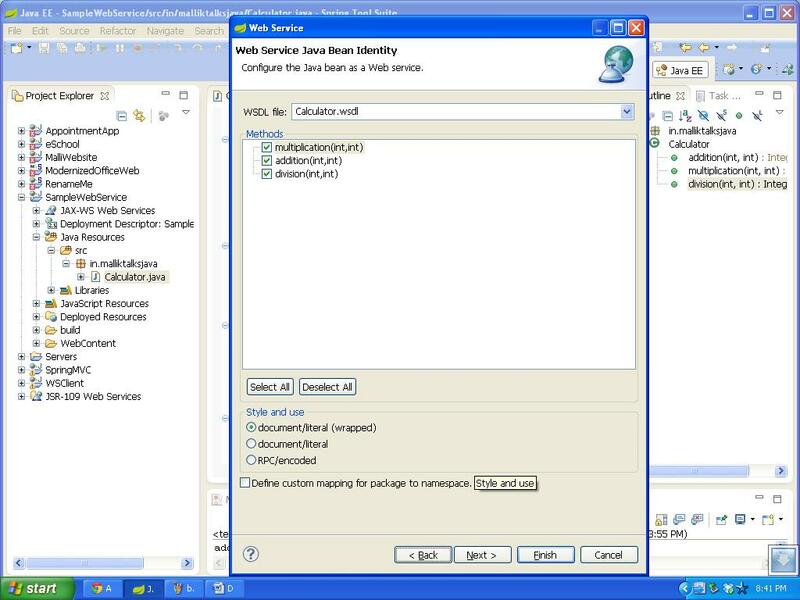 Select the ‘Bottom up Java bean Web Service’ from the Web service type and service implementation class as mentioned in the below picture and click on Next button. 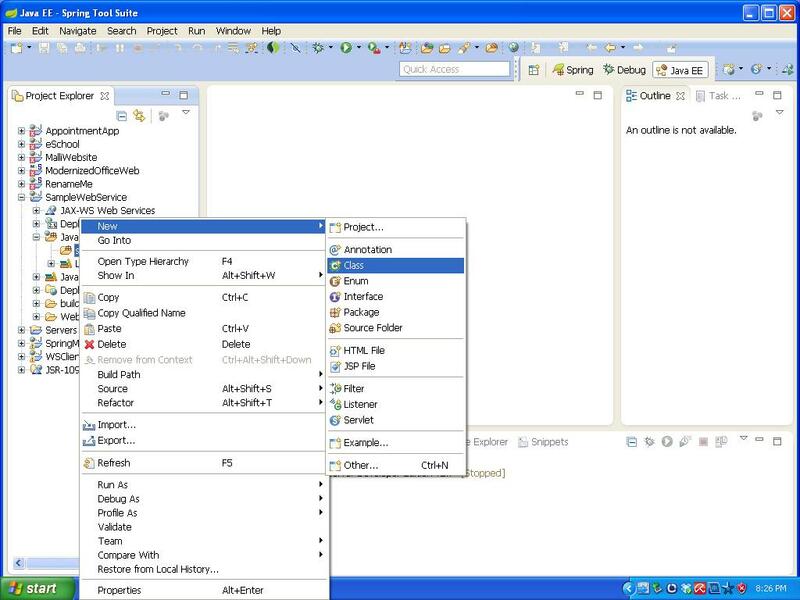 Select the service methods from the menu and click on Finish button. 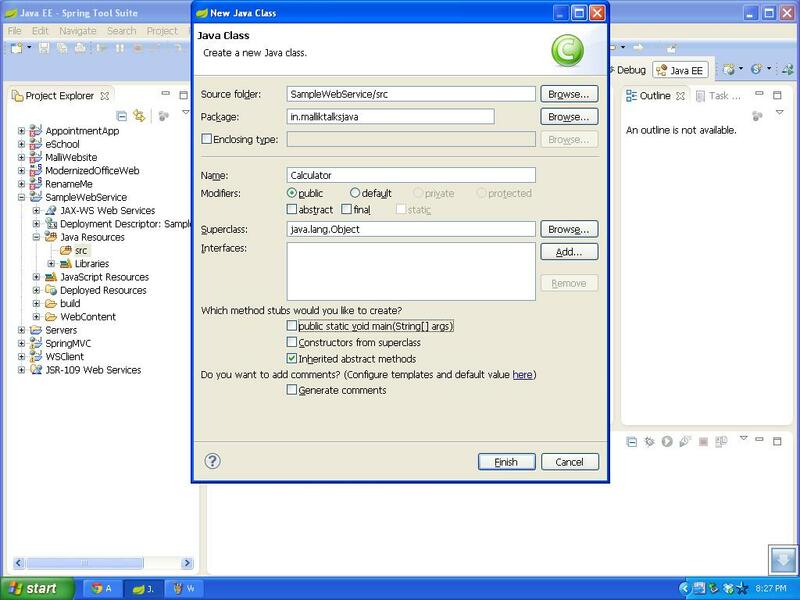 The Service implementation style used is document/literal as shown in below picture. 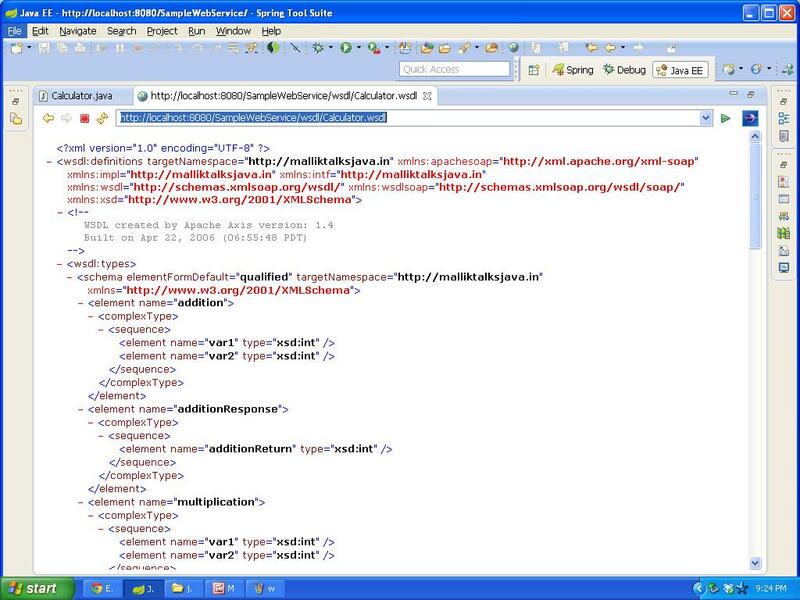 Finally your web service is ready to use and WSDL url is the end point url for your web service.